The classic Pandora charm bracelet is updated with a romantic golden-colored heart clasp in Pandora Shine. 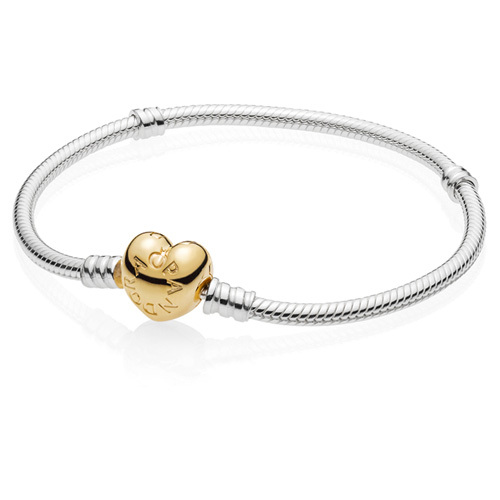 Accentuate the tender look with sweet heart motifs, or use it as a lovely carrier for your personal edit of charms. Lengths currently in stock: 7.5" and 7.9".